Mosaics have existed as a form of art for over five thousand years dating back to origins in Mesopotamia and are still used in much the same way today. A mosaic is an image that has been created from tiny pieces of stone and glass materials that are placed together to form a single, cohesive piece or decoration. We at Stone Masters love the rich history that surrounds the style and we’re very excited to offer several forms of mosaic tile in both glass and stone surfaces in our Toronto showroom. We love tile of all sorts, but the creativity involved with the mosaic art form makes it truly unique. Stone Masters offers dozens of types of mosaic stone and some of our most beautiful stone is cut into medallions and various images that will add an amazing pop to your wall, floor, countertop or backsplash. Our medallions come in fourteen amazing designs that are infused with a myriad of different colour and Earth-tone shades. You can call our professionally trained customer service staff and they will be more than happy to discuss our products in great detail along with suggestions on where one of these spectacular pieces will fit into your kitchen, bathroom or living space. In addition to our medallions, we also offer three classic images beautifully rendered in immaculate stone. This imagery will fit beautifully into your foyer or backsplash. The images include a pair of swans, a cluster of grapes or the fanned colours of a stunning peacock. No matter what your overall design is, our customer service agents will be happy to discuss sizes and colours should you decide to go with either a medallion or one of our stunning mosaic images. Tile mosaics are very popular in the Greater Toronto Area and they are always a nice conversation piece when guests are visiting. Many of our customers elect to create mosaic wall covering to increase the aesthetic appeal of their homes when looking to sell them in this competitive market also. Some folks have a preference of glass mosaic tiles over stone…this no problem at Stone Masters! 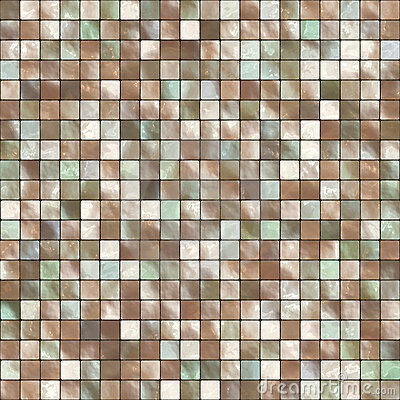 We have twenty-two polished, glass mosaic tile options for you to check out as well. 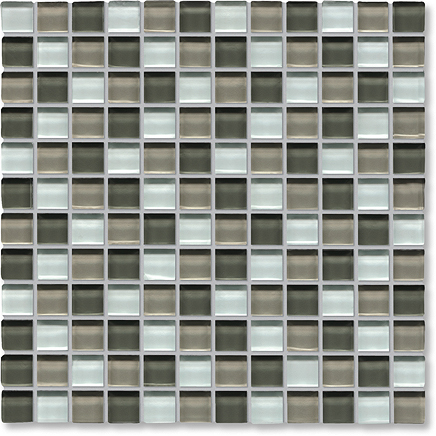 Glass tiles add a bit of flash and a world of sophistication to your kitchen or bathroom. 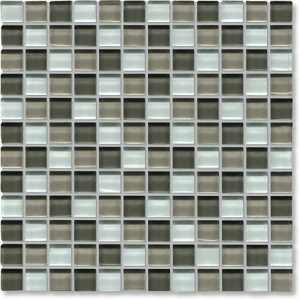 They offer a nearly three-dimension depth to shower stalls or backsplashes that look great and feel cool to the touch. When you want to really elevate your home project to the next level our glass mosaic tiles will surely provide the wow-factor you are looking for. We are not afraid to tell you that our showroom in Toronto is fully stocked and represents one of the strongest mosaic tile inventories in North America, so please stop by or contact us at this site to get an update on the latest glass and stone materials that we are offering!